Do you need to translate PDF documents frequently? Have you got a PDF file which needs translating for personal or professional reasons? You’re in the right place! Translation Services 24 is a fully & officially accredited UK translation agency providing fast and accurate translations into and from more than 200 different languages. For many translation agencies PDF isn’t an ideal format to work with. Often, this type of document causes loss of formatting and/or low quality of text, which makes translation lengthy and expensive. For us however, working with PDFs (whether as a scanned version or a picture of the document) isn’t a problem as the latest software we use allows us to accurately extract the word count from your PDF documents, enabling us to provide our clients with competitive rates and fast turnaround times. To get an accurate quote, simply upload your PDF files above and we will get back to you with an accurate quote within 30 minutes. To get more information, you can call our translation office on +44 (0) 20 8677 3775 and a member of our team will be more than happy to assist you. What is a PDF format? PDF documents can be viewed on any type of computer, smart phone or tablet as well as operating system, which makes it one of the most popular file formats in the world. PDF documents are extremely popular not only among private users, but also within the business and corporate environment. A PDF file can be translated for free using one of the online tools available, such as Google Translate. These are however machine translations and are not officially certified, therefore cannot be used for legal purposes, such as in courts of law or the Home Office. 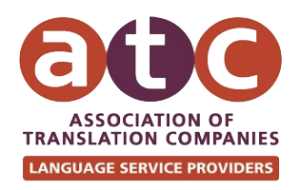 In order to be able to use your PDF documents in such institutions, the translation must be officially certified by an accredited translation agency, such as Translation Services 24. Translating PDF documents can sometimes be difficult due to the fact that these documents are often not editable, unlike other text/image file formats. Our specialist translation software allows us however to extract the exact word count from your documents and recreate the layout of your file to match the original. We are able to translate your PDF materials from and into over 200 languages from every corner of the world.